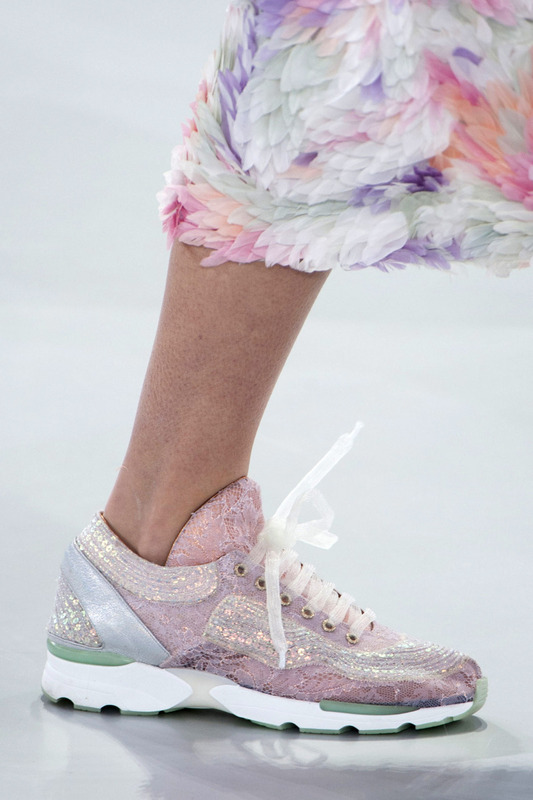 Schaparelli spring 2014 sandal: a feathery foot just for fun? 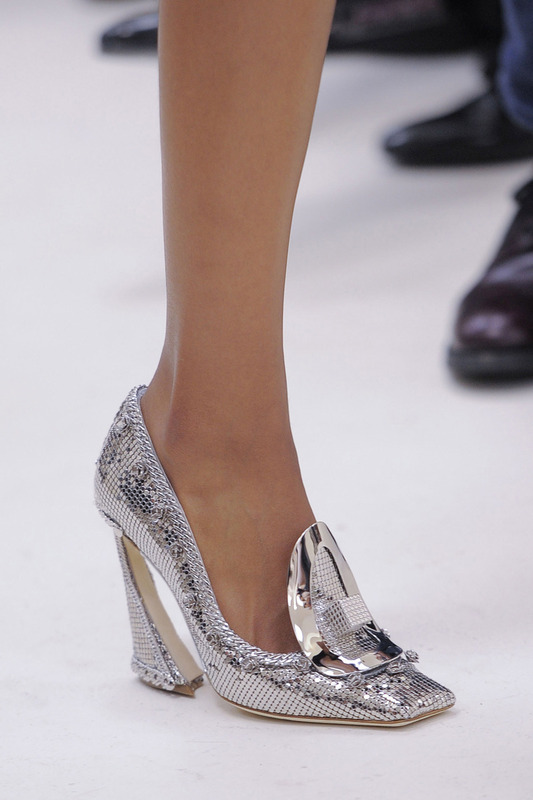 Spring 2014 breathes in the disco era with mirrors at Versace and angles at Christian Dior. The season’s focus on texture and movement takes a beautiful lace-up lesson at Alexandre Vauthier and plays with see-through plastic at Jean-Paul Gaultier. Take a peek. All images courtesy of The Cut.